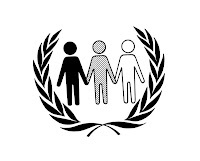 that apartheid is a crime against humanity and that inhuman acts resulting from the policies and practices of apartheid and similar policies and practices of racial segregation and discrimination ... are crimes violating the principles of international law, in particular the purposes and principles of the Charter of the United Nations, and constituting a serious threat to international peace and security. Further "declare[d] criminal" were "those organizations, institutions and individuals committing the crime of apartheid." 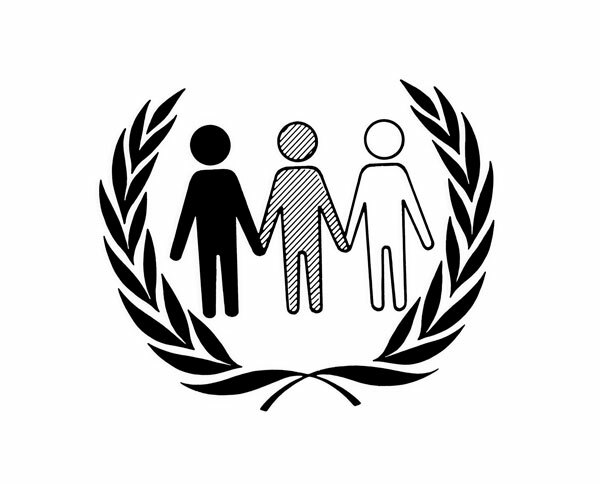 (credit for image of official emblem for the United Nations' Anti-Apartheid Year, 1978) The convention entered into force on July 18, 1976, and today has 107 states parties. Notable nonparty states include South Africa -- whose policies at the time of adoption were targeted by the treaty -- as well as 3 of the Security Council's 5 permanent members -- France, the United Kingdom, and the United States.